AKVM Roofing is proud to be West Central Florida’s roofing leader, serving Bradenton, Sarasota and the surrounding areas. Family owned and operated since 2002, we set the standard for quality roof installation and repair at a reasonable price. Whether your home has a tile, metal or shingle roof, you can trust the experts at AKVM to provide you with dependable, on-time service you can count on. We are experts in installation, maintenance and repair for a wide variety of roofing materials, and use the finest products and materials to create top quality roofs for our customers. We follow manufacturer’s instructions precisely so that you earn the full manufacturer’s warranty for the life of the roof. We have a personal commitment to excellence, and we don’t cut corners. We guarantee a quality result, every time. We will install or repair your roof quickly and professionally, and we stand behind our work with an industry-leading warranty. We partner with Hearth Financial to offer 100% financing on new roof installations and repairs. Hearth Financial specializes in financing roofing loans and provide competitive rates. Every home situation is different. That’s why we offer free roof inspections to determine the right solution for your home and your budget. If you’re worried about roof replacement cost, we have a variety of options that we can discuss to meet your budget needs. We are happy to provide you with a free, in-person inspection and quote to determine your exact roofing needs. When you call us for an estimate, we will send one of our experienced, professional evaluators to your home to determine if your roof needs to be replaced or if it simply needs a repair. We won’t try to sell you a roof that you don’t need. Our team is happy to answer your questions and provide you with expert guidance. We are proud of our excellent reputation in the community, and we encourage you to check out what your neighbors are saying about us on social media sites. We are Home Advisor Screened & Approved, and maintain a A+ rating from the Better Business Bureau. Why Trust Your Home to AKVM? 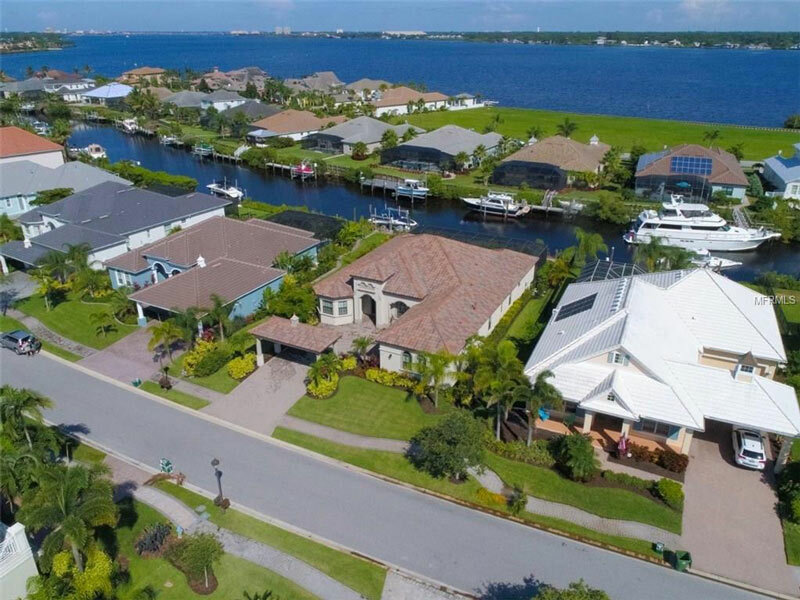 AKVM Roofing is committed to serving Manatee and Sarasota Counties exclusively. Our goal is to create lifelong relationships with our clients by giving them the personal service and quality workmanship we would expect for our own homes. When we apply the Golden Rule to all of our interactions, we reap the benefits: satisfied customers who speak well of us in our own community, recommend us to friends and neighbors, and inspire us to become even better. When our clients are happy, so are we. We not only work in your neighborhood; we live there. AKVM has been the premier Sarasota roofer for more than 15 years. We are delighted to not only live and work in Sarasota but to serve clients here as well. We aim to maintain positive relationships with our clients for life, so we treat you with courtesy and your property with respect. If your existing roof needs only minor repairs, we won’t try to sell you a new roof. When you hire us, we pay attention to the details: We protect your landscaping from falling debris and clean up all nails before we leave. Add to that a new roof that’s expertly and professionally installed, and it all adds up to the best roofing company in Sarasota. 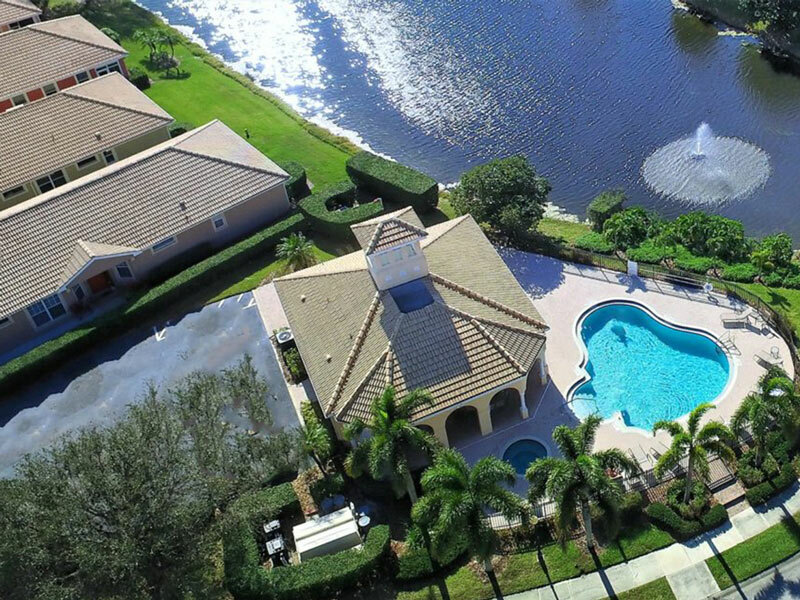 AKVM Roofing has been installing and repairing all types of roofs in Bradenton, Florida, since 2002. We excel as a company because we excel as a team of managers and craftsmen working together with one goal: to do quality work efficiently and expertly. 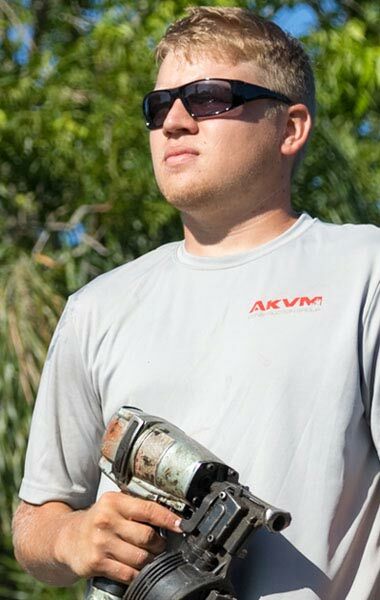 AKVM is committed to being the best roofing company in Bradenton. We ensure the safety of both our employees and our clients, and we respect your home and landscaping. We leave your property as clean and tidy as when we arrived. Most important, we do quality work and never cut corners. AKVM: the Bradenton roofer to call first when you need a new roof. We pledge to work hard, work safe & work smart. The management and staff of AKVM are dedicated to installing quality roofs that meet or exceed the standards of the manufacturers we represent. We utilize the best equipment available and train our staff to ensure the highest levels of technical expertise in the roofing industry.